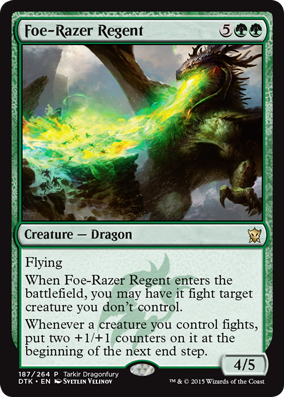 Yesterday, we showed off the promo cards that serve as the faces of the Intro Packs (hint: they were all Dragons), but every set has a number of promos beyond just those five (Dragons). 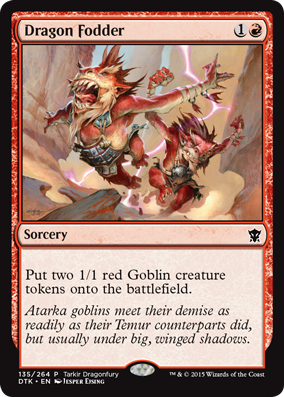 As a bonus, this includes a few cards you haven't seen yet! 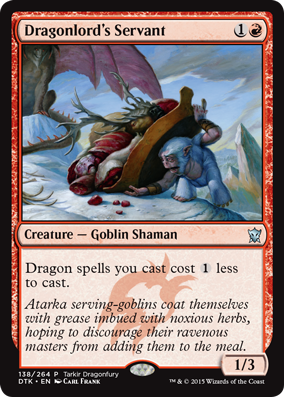 First up, we have our Prerelease activity, the Tarkir Dragonfury Game, which Gavin Verhey told you all about last week. 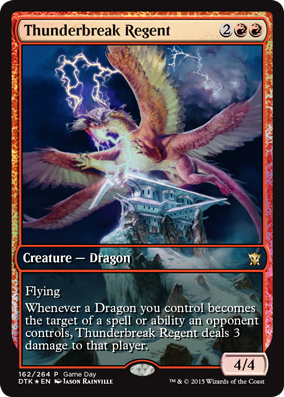 If you play in any Launch Event March 27–29—including Friday Night Magic, and on top of any other promos you might receive—you just might bring death and destruction to your foes with Deathbringer Regent. 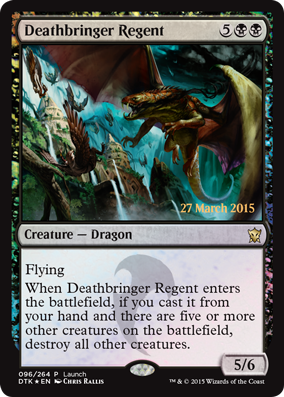 The weekend of April 18–19, 2015, stores all around the world will be holding Dragons of Tarkir Game Day. 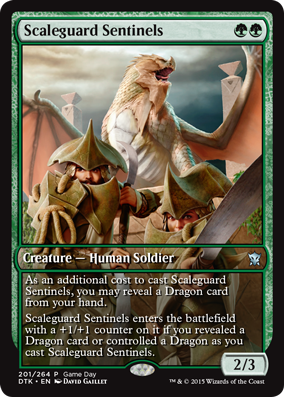 Just for participating, you can receive this full-art Scaleguard Sentinels, which may not be a Dragon, but it sure is friendly with them. 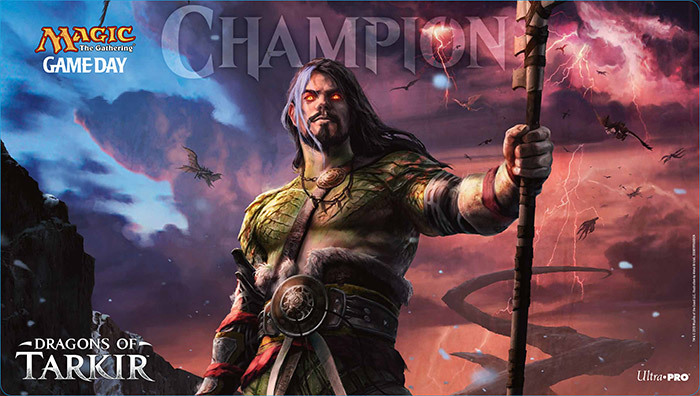 Additionally, the winner of Dragons of Tarkir Game Day at each store will receive an exclusive playmat. 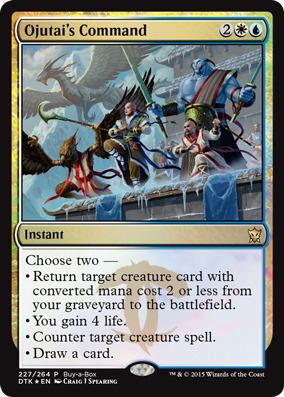 Finally, stores will be able to provide a small number of the Buy-a-Box promo, Ojutai's Command. 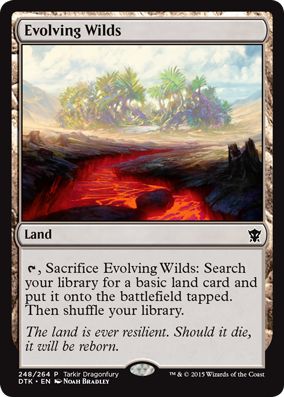 The distribution is up to stores, so ask your local store if you want to get your hands on one of the newest Commands. Because why wouldn't you? Just look at this thing!